I have a special guest post for you this week. Robyn (Crstarlette) from the Well Trained Mind 52 Books group, is here to talk about Fairy tales that aren't just for children and entice us into joining her in reading From the Beast to the Blonde by Marina Warner. In 1812, the first edition of their anthology, comprising eighty-six stories, came out in an edition of 600, with an apparatus of notes running to hundreds of pages. It was not really intended to be read for pleasure at all by the children and households of its title; it was a learned work setting out to reconfigure the cultural history of Germany along lines that would emancipate it from the monopoly of classical and French superiority. Up through 1700, there was no literary fairy tale for children. On the contrary, children like their parents heard oral tales from their governesses, servants, and peers. The institiltionalizing of the literary fairy tale, begun in the salons during the seventeenth century, was for adults and arose out of a need by aristocratic women to elaborate and conceive other alternatives in society than those prescribed for them by men. The term “fairy tale” comes from the title of a book published by one of these women of the French salons: Les Contes de Fees by Madame d’Aulnoy. Zipes later says, “With regard to the origins of the fairy tale for children, it is practically impossible to give an exact date,” but importantly, though people did start writing fairy tales for children, using them for entertainment and as moral instruction, they were taken back and returned to adults, and they continue to be written, revised and retold and used as inspiration for novels and short stories in all sections of the library. In addition to many retellings and fairy-tale inspired works in the children’s section, you’ll find Angela Carter and Margaret Atwood in the adult literary fiction section, Robin McKinley and Jane Yolen in the YA section and Neil Gaiman everywhere. Some of us have recently enjoyed The Bear and the Nightingale, which in my library, is in the adult SF/F section, and Marissa Meyer’s Lunar Chronicles is a SF fairy tale YA tetralogy. The magic and tone of fairy tales is carried over in the magical realism of Gabriel Garcia Marquez and Italo Calvino. The non-fiction section has more than just anthologies. There are fairy tales retold in the poems of Anne Sexton, Catherynne M. Valente and Theodora Goss. Fairy tale scholars, such as Marina Warner, Jack Zipes and Maria Tatar have given us essays, histories and interpretations. At the end of Once Upon a Time: A Short History of Fairy Tales, there is a recommended reading list 128 books long. For a literary magazine, you can subscribe to The Fairy Tale Review. And on the Internet you can read the archives of The Journal of Mythic Arts (where you will also find adult, YA, nonfiction and poetry recommended reading lists). 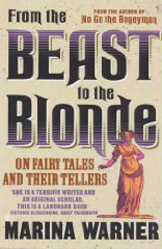 Marina Warner included her book From the Beast to the Blonde: On Fairy Tales and Their Tellers on her own recommended reading list (in Once Upon a Time), but it’s also on the nonfiction list at the JoMA site and it comes with some pretty good reviews on Goodreads, and that is what we’re beginning this week. For myself, I’m hoping to read two chapters a week to finish the book in about three months, so am planning on the introduction and chapter one this week. Others might choose a more leisurely pace. Please link to your specific post and not your general blog link. In the Your Name field, type in your name and the name of the book in parenthesis. In Your URL field link to your specific post. If you don't have a blog, leave a comment telling us what you have been reading. Every week I will put up Mr. Linky which will close at the end of each book week. 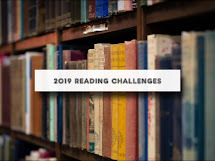 No matter what book you are reading or reviewing at the time, whether it be # 1 or # 5 or so on, link to the current week's post.